While Elon Musk may not think a space elevator is realistic, Japanese researchers are closer than ever to proving the tech billionaire wrong. The researchers at Japan's Shizuoka University and other institutions are working to make travel to space by elevator instead of a traditional rocket a reality. The research teams are set to conduct their first test in space this month as a cursory step toward the space elevator project, according to Japanese media outlet The Mainichi. The incredible space elevator project plans to make ferrying people and cargo to space in a traveling elevator car a reality. The space elevator would connect Earth to a space station with a cable which the elevator car would ascend. The first test set to take place involves exploring the movement of a container on a cable in space between two ultra-small cubic satellites measuring just 10 centimeters each. A 10-meter long steel cable will then connect the two cubic satellites which will be carried from Kagoshima's Tenegashima Space Center to the International Space Station on September 11. From there, the two connected satellites will be launched and a motorized container which would simulate the elevator car will travel along the cable. The test elevator car's journey will be documented with cameras mounted on the satellites. Japan's construction giant Obayashi Corporation is acting as the project's technical adviser and is also working on a similar project of their own. 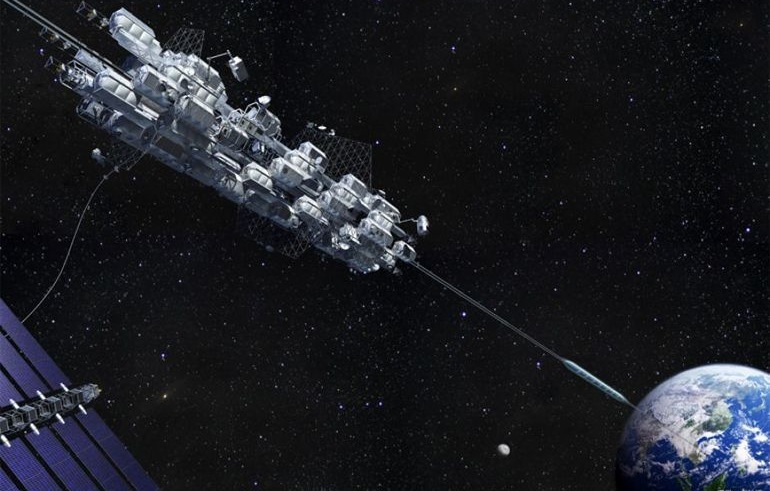 The company has previously stated it expects to deliver a space elevator by 2050. If a space elevator were established, it would significantly cut the costs as well as the risks of traveling to and from space. Cargo heading to space would typically cost about $22,000 a kilogram when being ferried by shuttle, but Obayashi's elevator could cut that cost down to a mere $200.